Do you know how many animals are unfortunate enough to have made the ‘rarest primates on the planet’ list? It's unthinkable that in the year 2015 the issue of endangered animal species should continue to be of global concern — that the possibility of their extinction is not more of a clarion call for action? “But what can we do?” some would question. 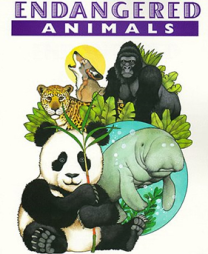 How can citizens in one country like America for example save and/or protect endangered animals in another part of the world, like Tanzania? 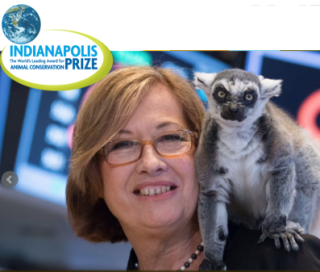 Well, with that humanistic and charitable focus in mind, the Indianapolis Zoo launched an initiative ten years ago, called “The Indianapolis Prize." This is an internationally recognized award created to honor the men and women who have made extraordinary contributions to conservation efforts, particularly those involving endangered species. This effort is an admirable component of the Zoo's mission to empower people and communities — both locally and globally — to advance animal conservation. Previous biennial winners of this prestigious award have included a professor of anthropology from Stony Brook University working with lemurs in Madagascar, a researcher that led U.S. to declare polar bears endangered and one of the world’s greatest field biologists who co-founded the International Crane Foundation. Internationally renowned professional conservationists and local representative make up a nomination committee and jury who will select six finalists to determine a winner. The finalists will then be honored at the next Indianapolis Prize Gala to be held October 15, 2016. The winner of the Prize will receive an unrestricted $250,000 cash award, while the five finalists will each be presented with $10,000. In addition to the monetary award, the winner will receive the prestigious Lilly Medal, a cast bronze medal showcasing the relationship between people and the natural world. The names of the current nominees can be found here. For more information as to the criteria and how to nominate worthy candidates for this award, you can contact Conservation Public Relations Specialist Melanie Laurendine here. Nominating an individual is a simple process that only requires a 500-word narrative about the individual along with two to four letters of support. ?The 2018 nomination period will begin June 30, 2016. 338 Sharks Tweet Their Location When Close To Australian Beaches!